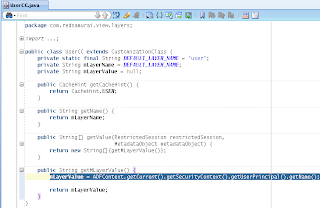 Abstract: Oracle Application Development Framework (ADF) is an end-to-end development framework that offers unparalleled productivity for application developers. 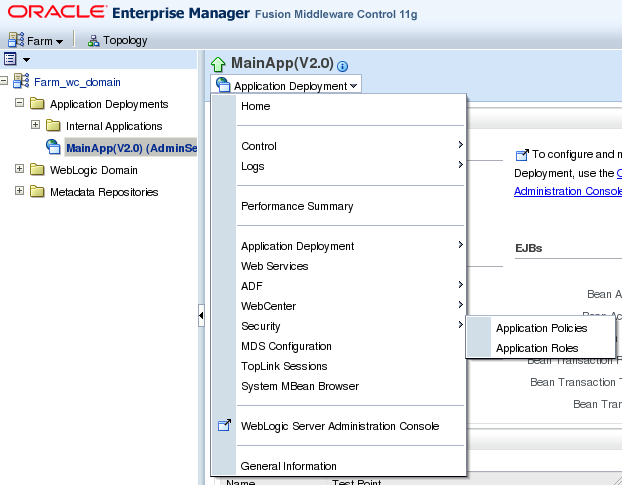 This session will show how data passivation and activation phases should be managed in large applications and demonstrate different UI Shell templates for separate Oracle ADF applications integration. 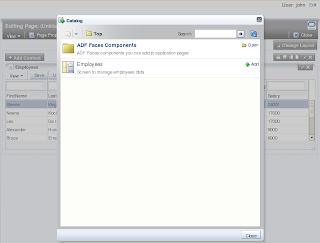 Based on personal experience from retail industry projects, the speaker will describe how Oracle ADF applications can be tuned for the best runtime performance and show how developers can apply Oracle ADF architecture best practices. 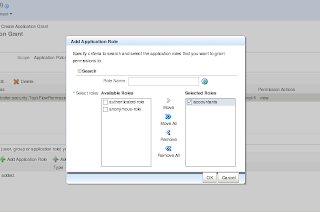 There will also be multiple demos about Oracle ADF Task Flows and Libraries usage for application integration and reusability. Don't miss ADF EMG event on Oracle OpenWorld 2010, please read Chris Muir blog post. 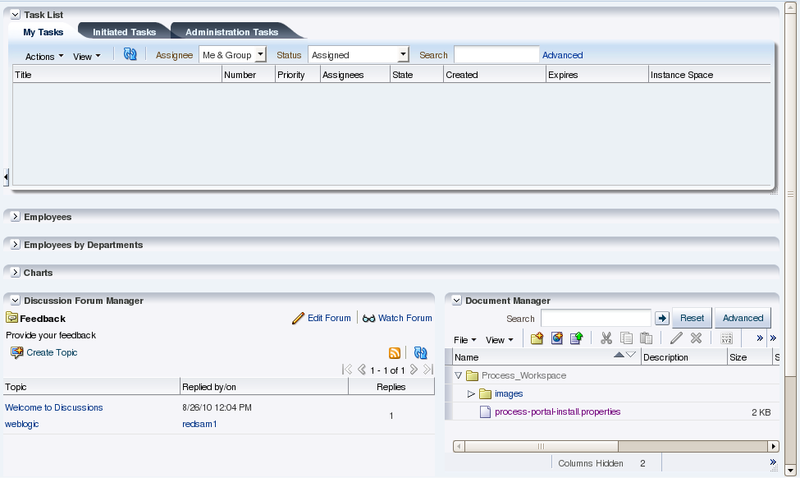 I will demo there two production systems. 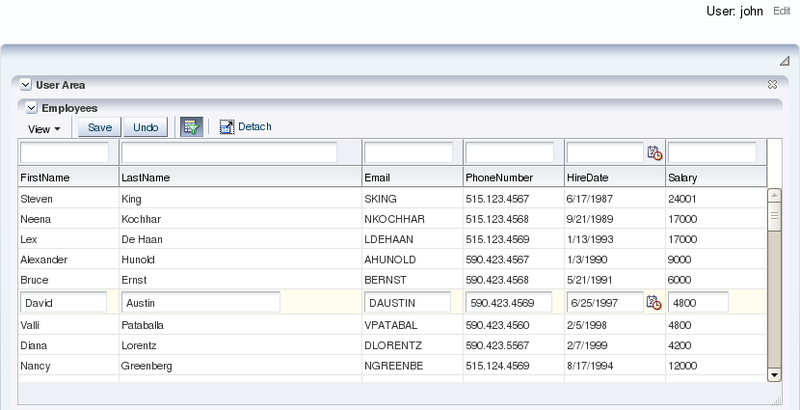 See you in San Francisco ! 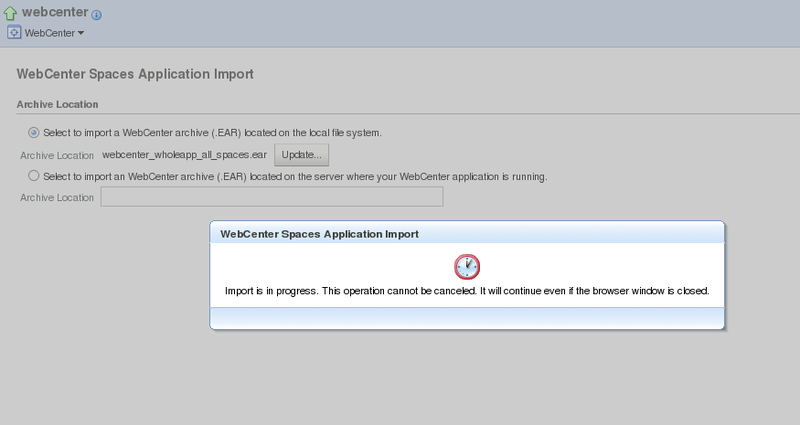 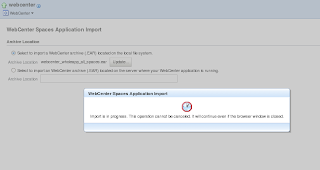 This means we have successfully extended WebCenter Spaces and preserved previous setup by exporting and importing it through Oracle Enterprise Manager. 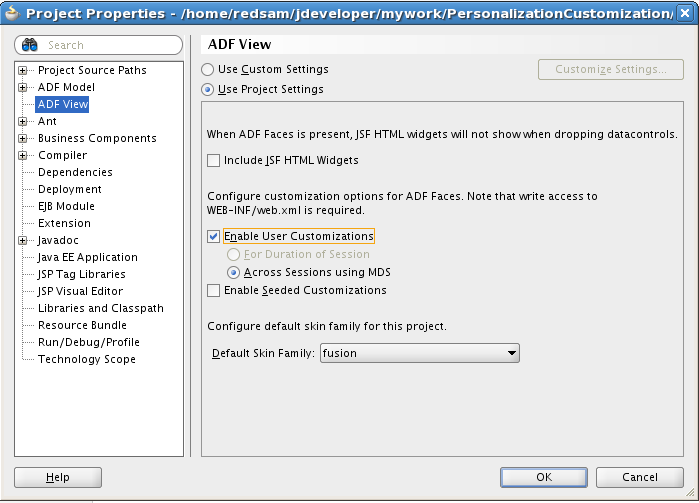 Let me start with simple definition of personalization and customization. 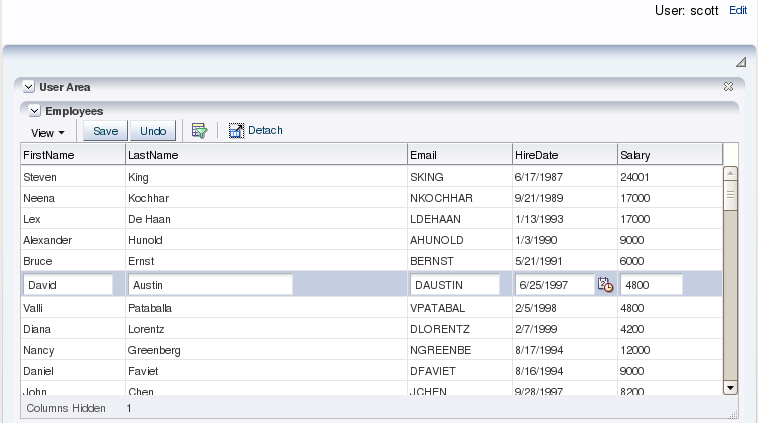 Term personalization means user can perform changes visible only to that user. Term customization means user with admin privileges can perform global changes, visible to all users. 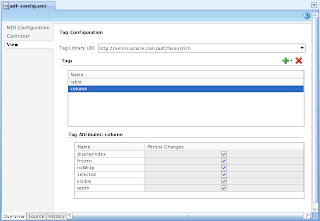 I decided give you this simple explanation, because while browsing Oracle resources and related blogs, I saw many confusing statements. 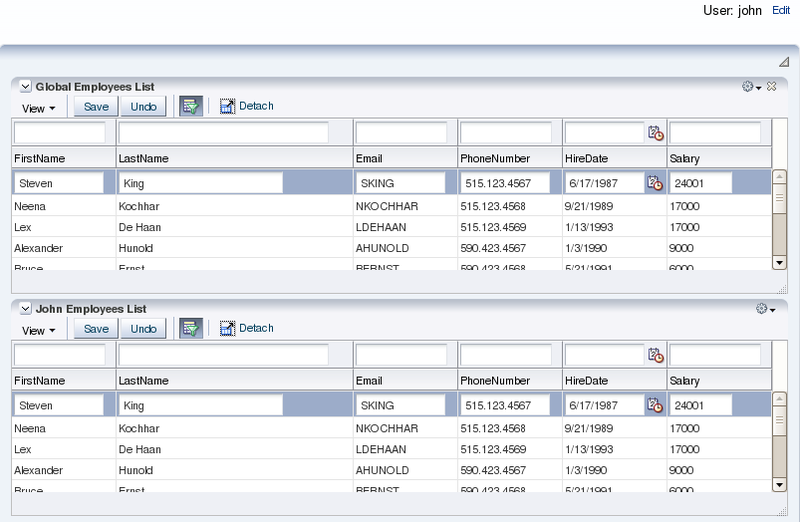 For example, something similar like - we can apply personalization by customizing. 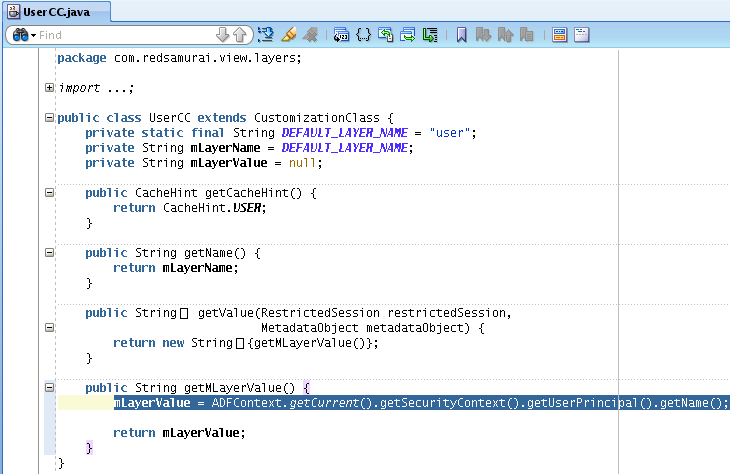 In this blog post I'm not describing predefined seeded customizations, but focusing on user performed runtime personalization and customization. 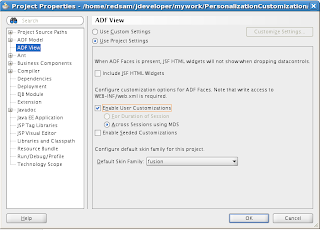 You can achieve personalization functionality within standard ADF framework enabled with MDS. 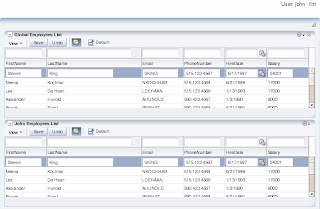 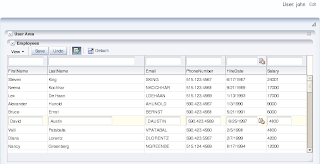 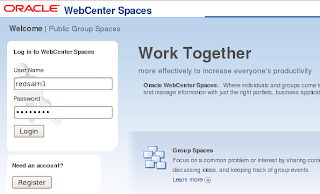 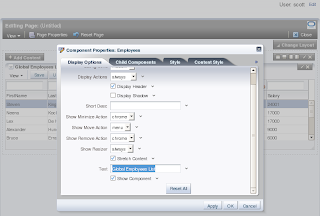 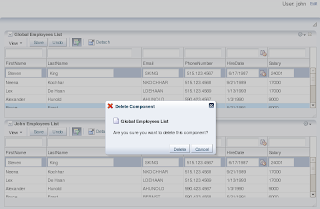 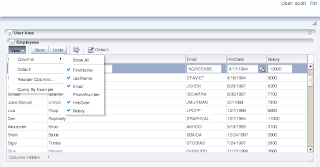 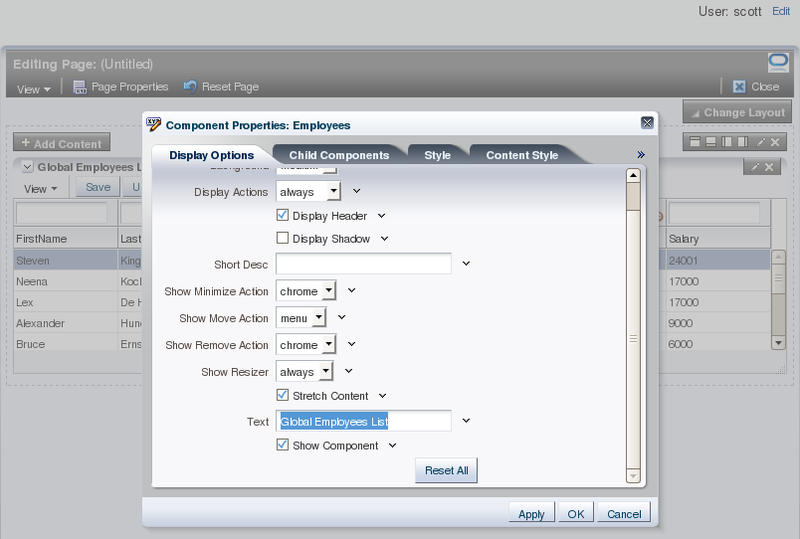 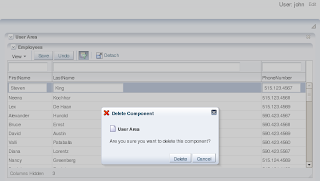 For customization functionality need to use Oracle WebCenter component - Composer. 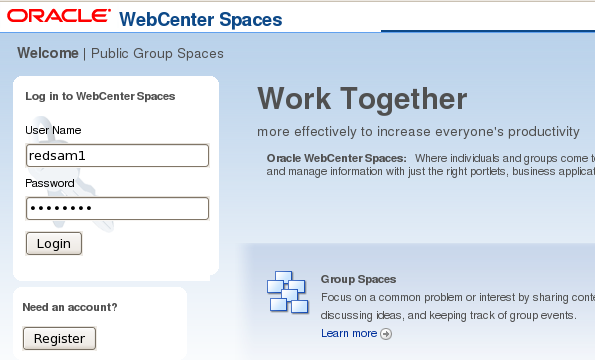 Today I will describe how to use these two together. 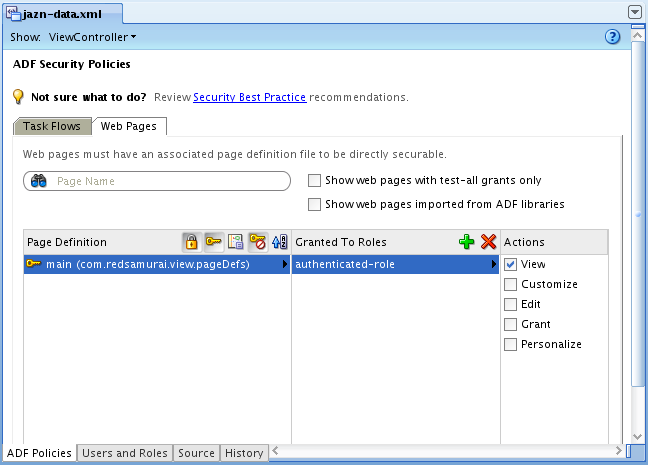 30.5 Defining ADF Security Policies . 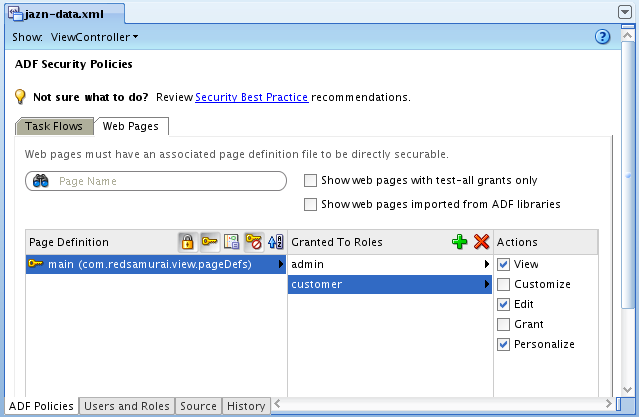 Table 30-6 Securable Actions of ADF Page Definitions describes Customize, Edit and Personalize security actions. 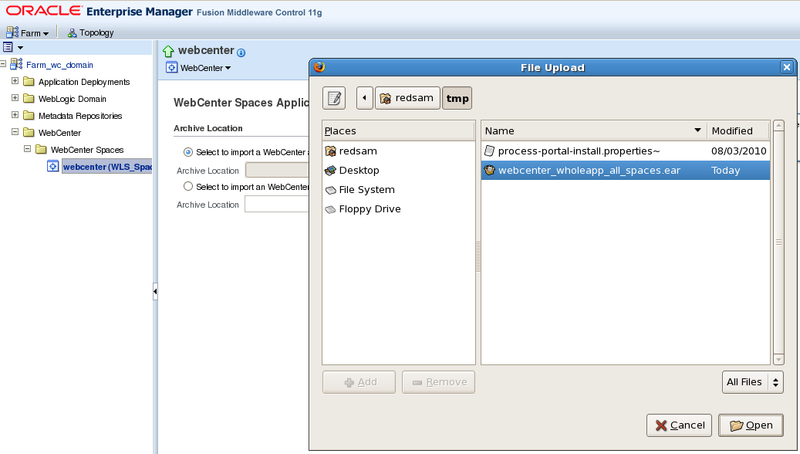 These actions are used by Oracle WebCenter framework. 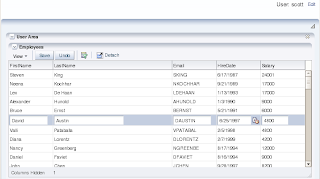 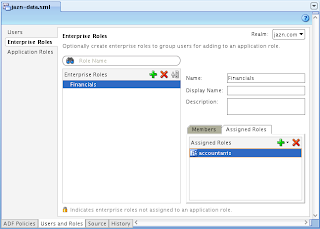 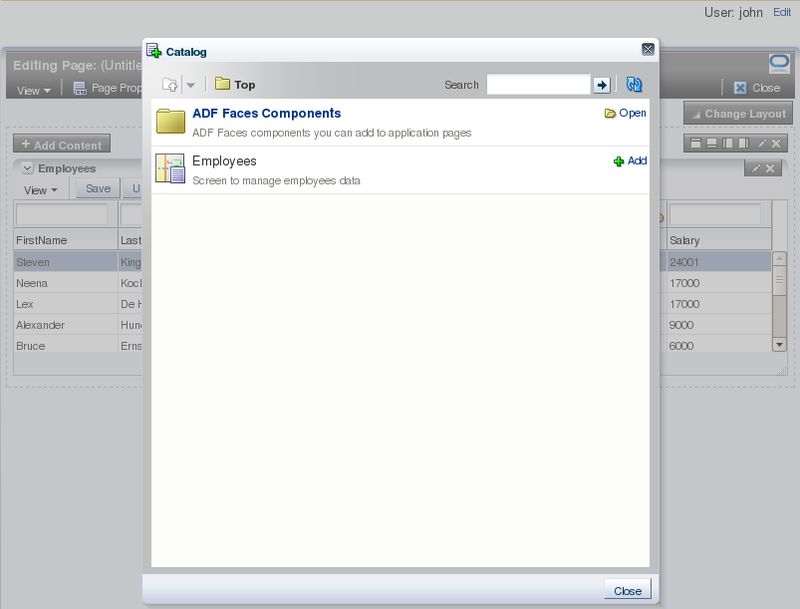 Customize enables Oracle WebCenter Composer editing with admin privileges. Personalize allows to edit in scope of one user. 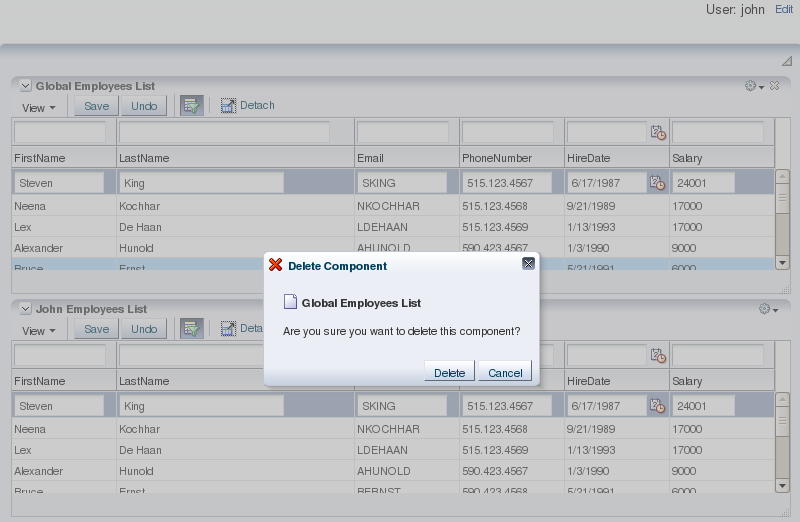 Edit allows to use Oracle WebCenter Composer for these users granted with Personalize action. 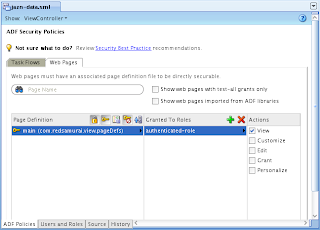 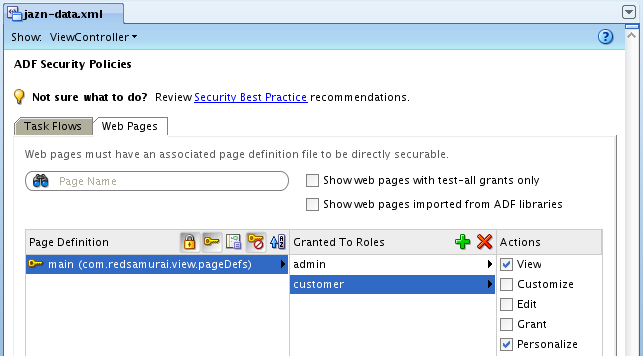 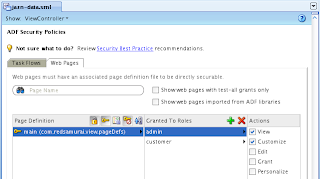 Step 3: Add ADF Security Policies to Your Application. 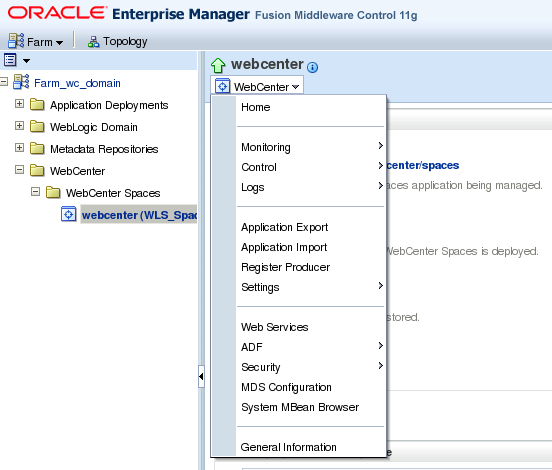 There is Oracle WebCenter tutorial, where we can read about customization functionality. However, it doesn't work - obviously some configuration steps missing. 10.3 Adding Customization Layers to View and Edit Modes: Example. 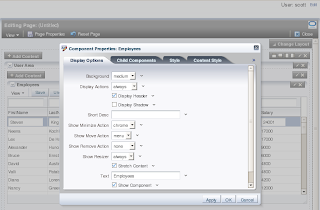 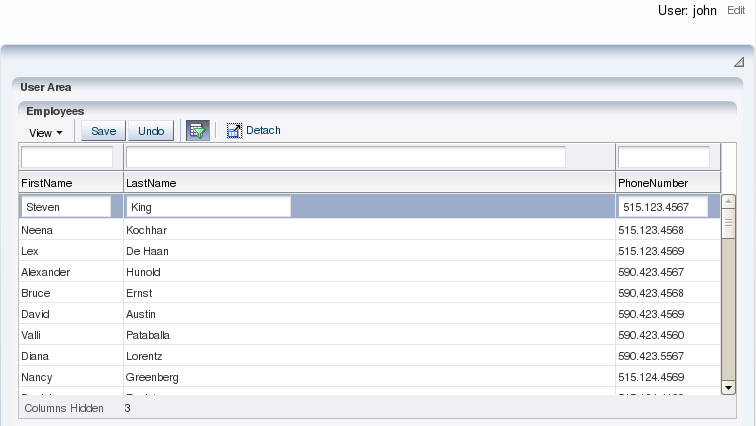 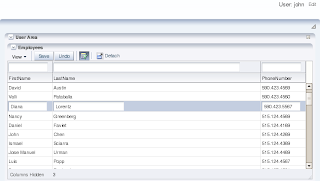 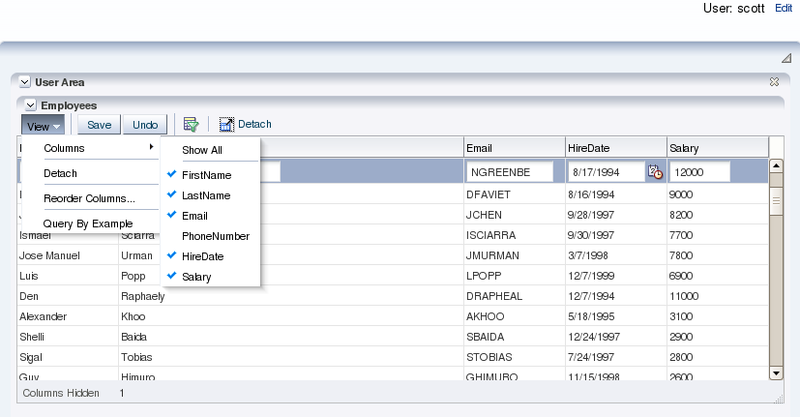 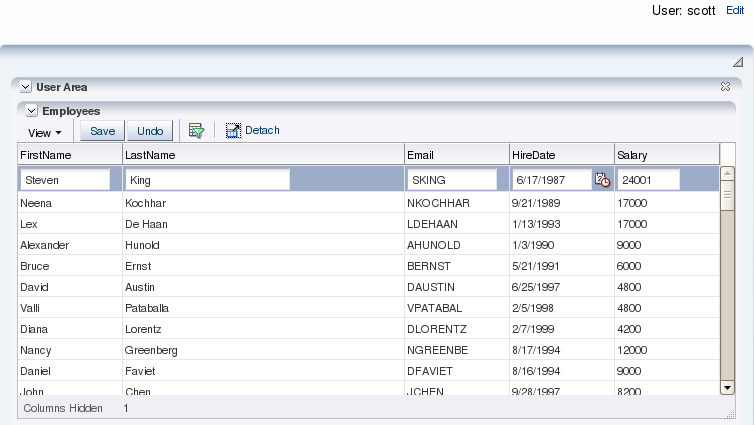 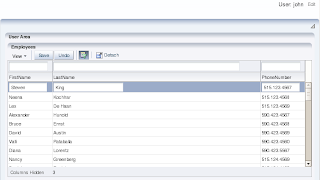 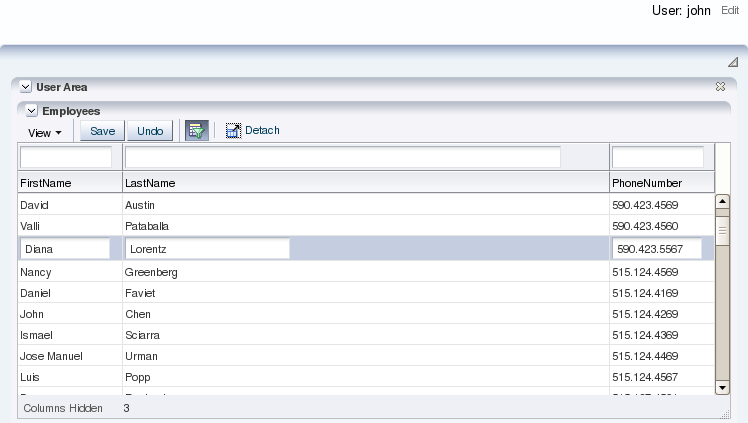 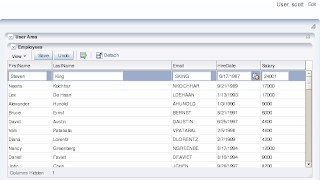 This section describes how to configure Oracle WebCenter Composer for personalization and customization. 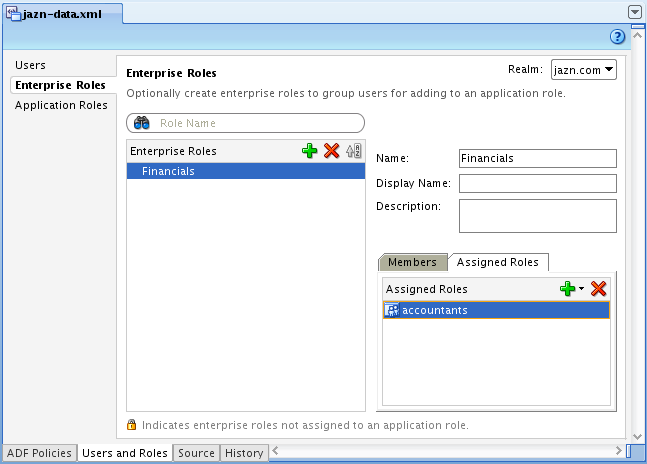 11.2.3 How to Customize the SessionOptions Object to Include Customization Policy. 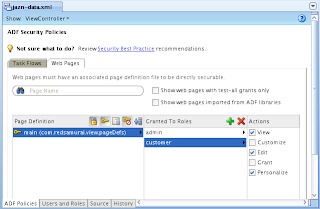 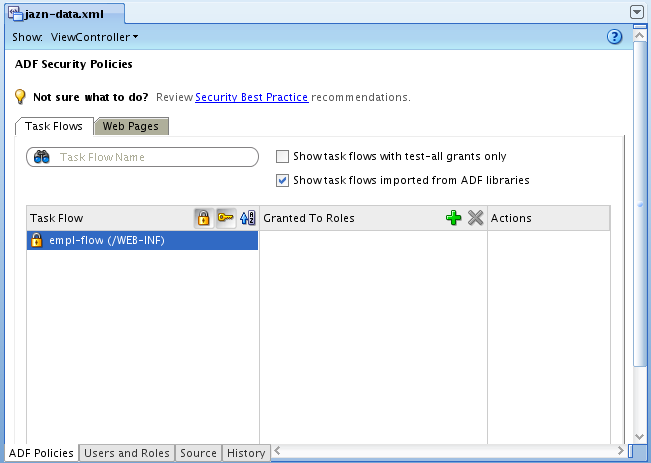 Finally, you need add ADF Security related configuration for Oracle WebCenter Composer. 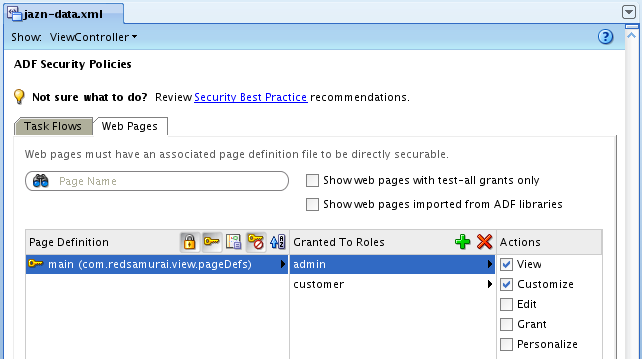 My goal today is to join all this information together and provide more hints not described in documentation. 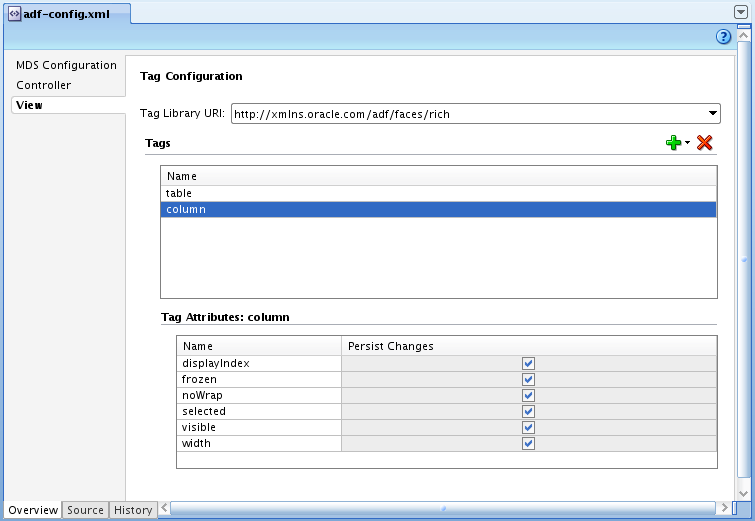 Download sample application - PersonalizationCustomization.zip. 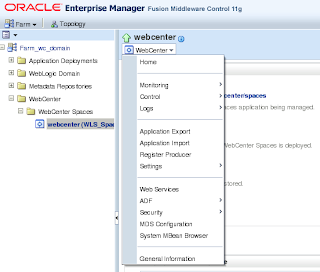 All examples from this post are based on this sample, you need to have Oracle WebCenter JDeveloper extension installed to run this application. 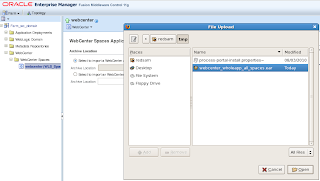 As per documentation, additionally you need to declare Oracle WebCenter Composer servlet in web.xml. 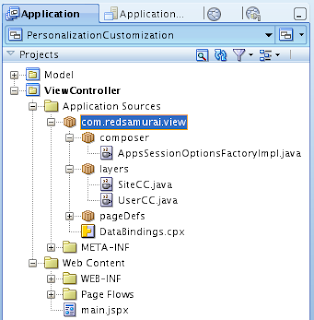 Now I will describe how to apply personalization through Oracle WebCenter Composer, so user who is not granted with Customize permission will be able to invoke Composer as well. 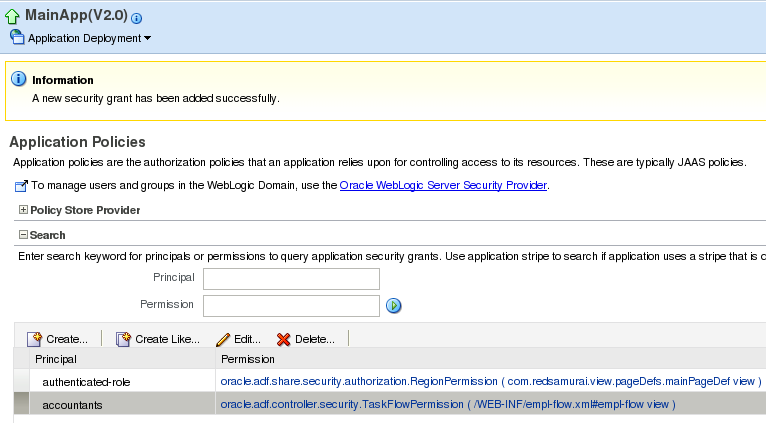 One of my previous blog posts describes how to Manage ADF Security Using Oracle Enterprise Manager 11g. 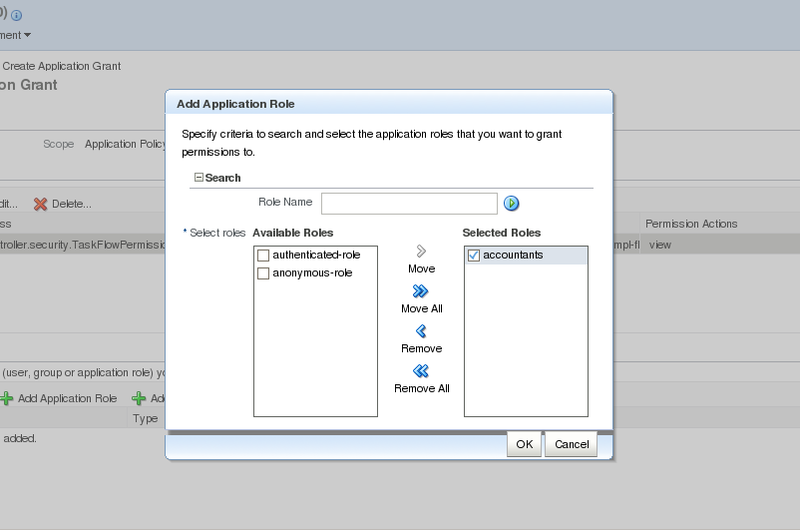 Today I will specifically describe how to manage ADF Security Permissions without application redeployment. It is very common use case, especially when using ADF libraries. 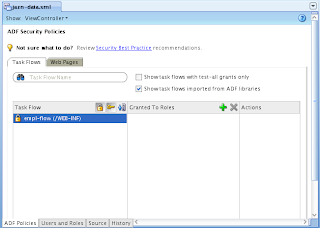 Developers who are implementing ADF libraries, often even are not aware what application roles will be used from main application to protect ADF Task Flows, etc. 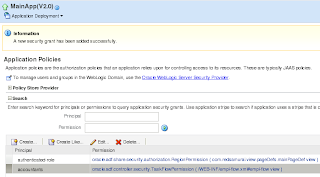 Its extremely important to be able to manage application permissions after deployment and without redeployment. 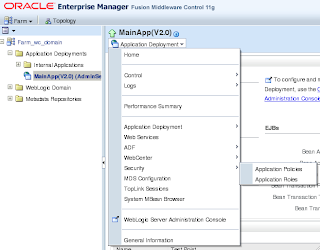 Deployment will be done without granted permission for this ADF Task Flow, we will specify it later from Oracle Enterprise Manager 11g. 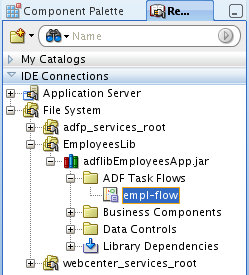 This happens, because there is no permission defined for ADF Task Flow imported from ADF library, as you saw few steps above. 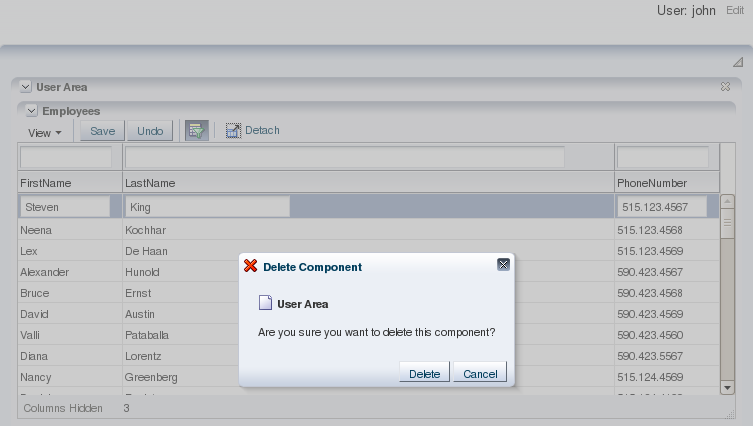 We could go back to JDeveloper, assign permission there and redeploy our application. 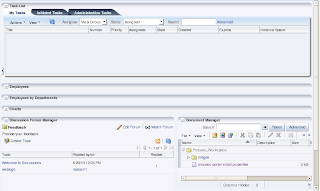 However, in production environment its hardly acceptable by the management, usually we want to do a fix without redeployment to minimize application down time.